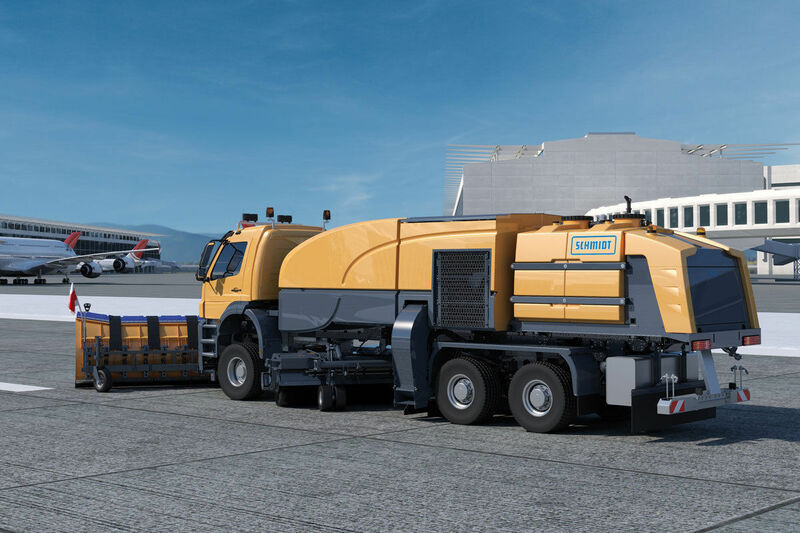 The latest concept from the company Schmidt – proven technology and reliable components combined with customised options and intelligent assistance systems. Our CJS-DI refined with your ideas! Proven technology and reliable components combined in one machine. 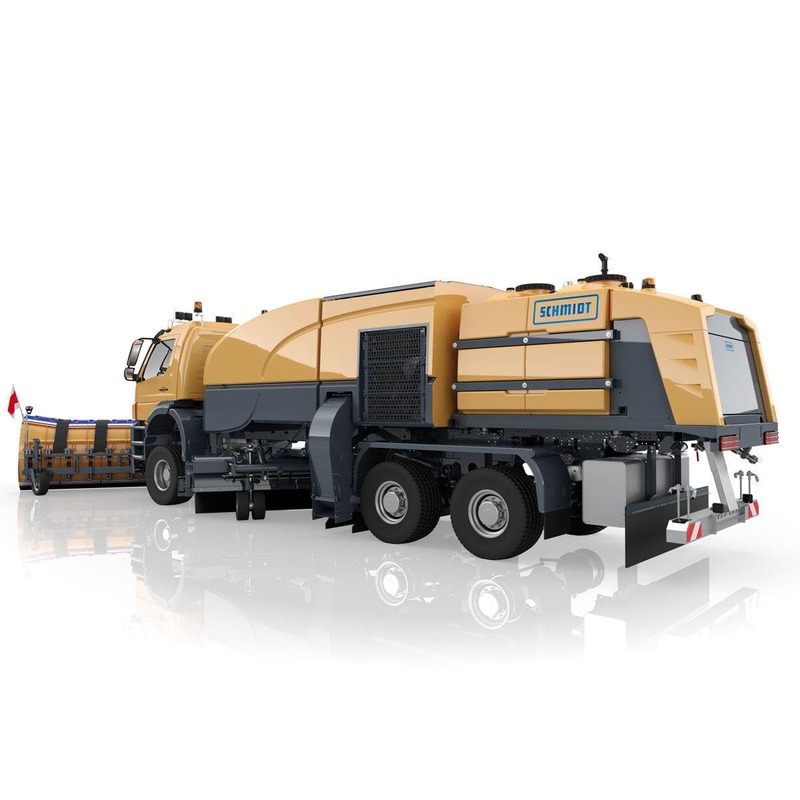 It is constructed on a standard truck chassis on a compact basis, therefore enabling excellent turning in narrow areas. 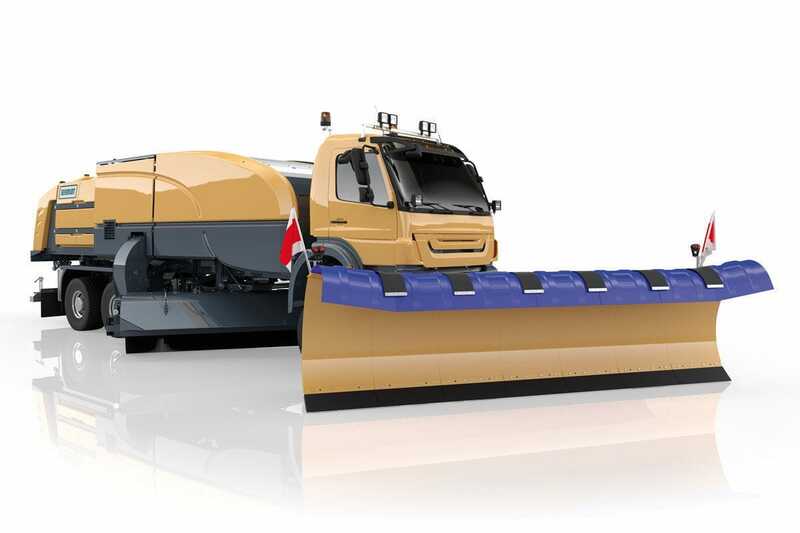 Naturally, it also realises a reliable removal of snow at high clearance speeds, just as the other ASH Group jet sweepers. Thanks to its hydro-pneumatic chassis, the CJS-DI offers the driver additional comfort when in use. Intuitive operation thanks to integrated control panel for the (synchronous) steering of the plough, brush, blower and auxiliary spreader / sprayer. The graphic colour display and synchronous control of all the components enable the rapid and reliable operation of all the functions. Parameters can be adapted on a customer-specific basis so that the driver only needs to focus on the driving and the best possible clearing performance is achieved. All of the key equipment is easily accessible, thereby hugely reducing the servicing and/or maintenance. That means lower servicing times and high machine availability. Standard carrier vehicles are used for the CJS. The chassis is modified accordingly for mounting the jet sweeper. An auxilary engine is used to drive the hydraulic pumps and to control the sweeping unit and high pressure blower with an output of 260kW at 1800 rpm. The vehicle engine powered hydraulic unit is used for operating the snow plough.